The Bulls-Eye Spot Beam is the same great light pattern that you find in spot mode on our Pure Beam Focusing System, but simply a fixed beam. It consists of the same extremely bright centered spot beam with a consistent transition halo Consists of an extremely bright, centered ‘hot spot’ and a very consistent transition halo to increase the effective viewing area. The Bulls-Eye Spot Beam is excellent for any type of work or recreational use, at a range up to 416 feet (127 meters). 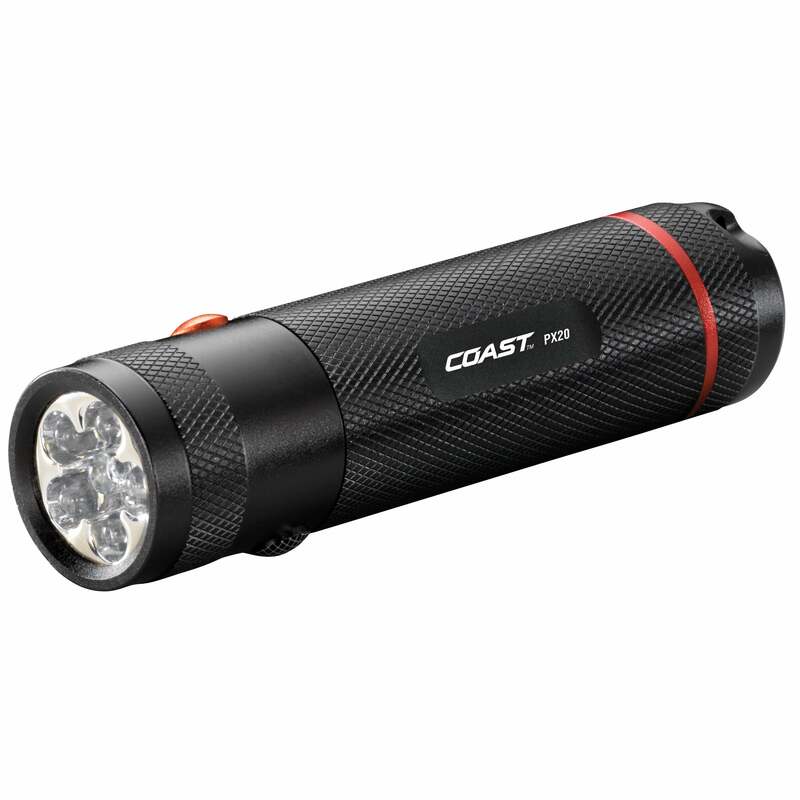 With Coast’s commitment to quality, the PX20 Flashlight is impact resistant, weather resistant and its LEDs are virtually unbreakable. The PX20 Flashlight is backed by Coast’s 5 year warranty against defects in materials and workmanship. Tested and rated to ANSI/FL1 standards.